Because, they believe, the climate is more sensitive to greenhouse gases when it is warmer. 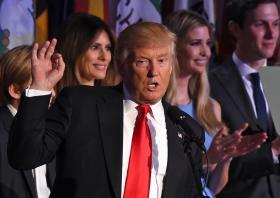 And US President-elect Donald Trump has said he will rip up America’s commitments to the fight against climate change. 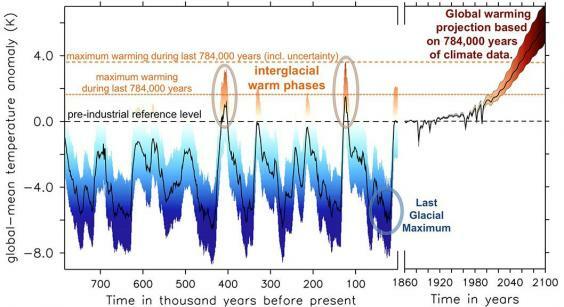 Professor Michael Mann, of Penn State University in the US, who led research that produced the famous “hockey stick” graph showing how humans were dramatically increasing the Earth’s temperature, told The Independent the new paper appeared "sound and the conclusions quite defensible". “And it does indeed provide support for the notion that a Donald Trump presidency could be game over for the climate,” he wrote in an email. “By ‘game over for the climate’, I mean game over for stabilizing warming below dangerous (ie greater than 2C) levels. Greenpeace UK said the new research was further evidence that urgent action was needed. Dr Doug Parr, the environmental campaign group’s chief scientist, said: “The worrying thing is the suggestion climate sensitivity is higher [than thought] is not incompatible with higher temperatures we have been seeing this year. “If there is science backing that up, that there’s a higher sensitivity of the climate to greenhouse gases, that puts at risk the prospect of keeping the globe at the Paris target of well below 2C. Dr Tobias Friedrich, one of the authors of the paper, said: “Our results imply that the Earth’s sensitivity to variations in atmospheric carbon dioxide increases as the climate warms. “Currently, our planet is in a warm phase – an interglacial period – and the associated increased climate sensitivity needs to be taken into account for future projections of warming induced by human activities. Dr Andrey Ganopolski, who was involved in the research and on the IPCC’s latest report, admitted their work was controversial with some scientists disagreeing and others agreeing with their findings. “In our field of science, you cannot be definite by 100 per cent. There are always uncertainties and we discuss this in the paper,” he said. Dr Ganopolski, of the Potsdam Institute for Climate Impact Research in Germany, suggested their findings meant it would be harder to prevent the world entering dangerous global warming of 2C or above. “Our results mean it is not impossible to stay within 2C but it probably – if we are right and climate sensitivity is higher than this – would require even strong cuts in carbon emissions,” he said. “Whether it’s feasible politically … I believe it is feasible technically. Commenting on the paper, Professor Eric Wolff, of Cambridge University, said using data from the past was a “powerful way of understanding the climate”. But he noted the authors had used different ways of estimating average global temperature, some of which had produced “a lower range of values”. “The estimates of temperature in this paper are subject to large uncertainties, and therefore the range of estimates for 2100 is also very wide,” Professor Wolff said. “Still, it's encouraging that it overlaps with model estimates and confirms that the emission reductions promised in Paris are essential to avoid unacceptable climate changes." Mark Lynas laid out what would happen as the temperature rises in his award-winning book, Six Degrees: Our Future on a Hotter Planet. He was shocked by the researchers’ results. “It sounds on the apocalyptic side of bad and, in some ways, it is realistic because ‘business as usual’ just got more likely as Trump wants to rebuild the pipelines … the complete ‘fossilisation’ of the US,” he said. Nasa recently said Venus may once have been habitable before runaway global warming turned the planet into its current version of hell with temperatures of more than 460C, almost no water and an atmosphere of mainly carbon dioxide with clouds of sulphuric acid.